Nate turned three yesterday. Being the super mom I am, I forgot to buy a few things, including wrapping paper (and candles). 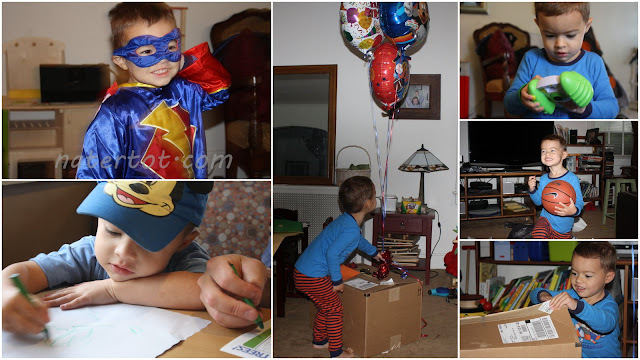 Luckily, Super Nate didn't seem to mind that his gifts were wrapped in old Christmas paper and stuck in a big brown box. Nate opened all of his presents from mom and dad before 7:00 a.m. and we started the day at IHOP, for the long planned birthday breakfast at the "pancake restaurant." Although this had been a highly anticipated part of the day, Nate was just too excited to eat. This was a theme that lasted the whole day. He did make an exception for cake, later in the day, though. Obviously. You can never be too excited for cake. 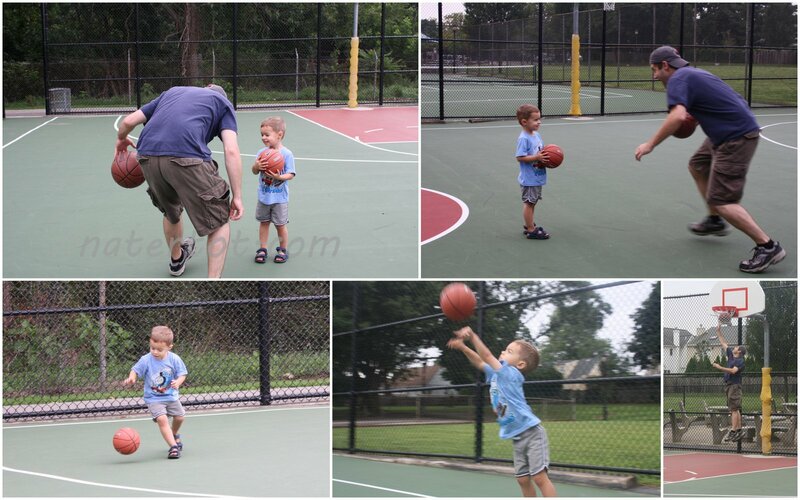 After breakfast, we took Nate's new basketball (and favorite present) to the courts to test it out. 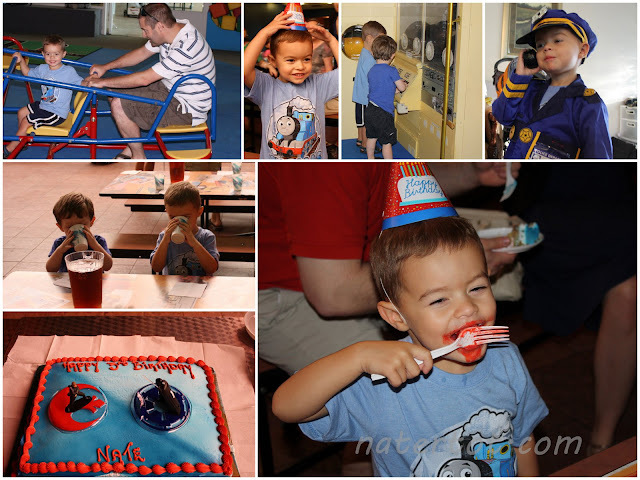 After refusing lunch and taking a super short nap, it was finally time for his birthday party at "the airplane museum." The pictures below only feature him with his bestie, Jason, but many of his friends were able to make it. 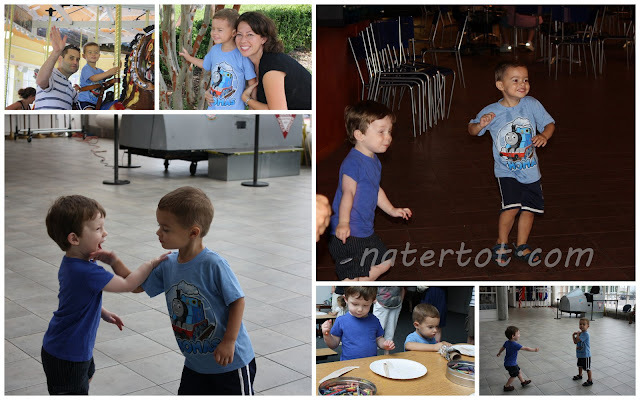 He had a blast making an airplane (then throwing it off the side of the balcony at the heads of unsuspecting museum patrons), eating a quarter of a slice of pizza, jumping and dancing to the music in his head and playing in the Jr. Jet play room with his buddies. He ended the day tearing through all of his presents and playing with as much as he could before he was forced to go to bed. When I asked him if he liked being three, he said, "Yeah! It's similar to two." "Only get your FEET wet"